As part of the MileOne Automotive network of websites, this interactive blog acts as a virtual information resource for each of the companies 28 automotive brands and general auto industry news. The blog is shared by, and linked to, via each of their dealership and divisional websites as well as all company wide email marketing campaigns. 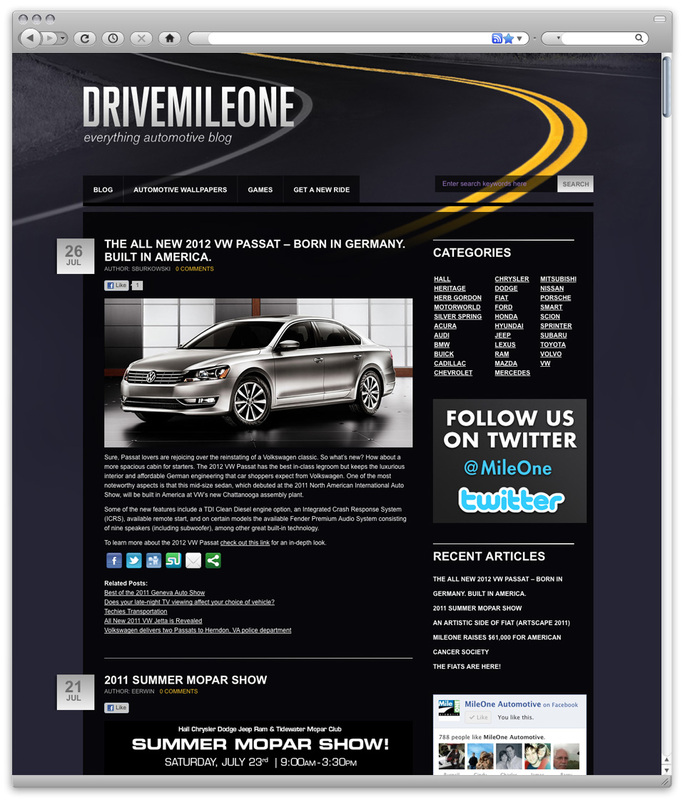 Traffic to the site is equally generated by SEO optimized content specifically related to MileOne’s 28 automotive brands (Audi, Porsche, Mercedes-Benz, Honda, etc.). Original articles, industry news, new model releases and automotive reviews are only a few of the blog’s main facets. 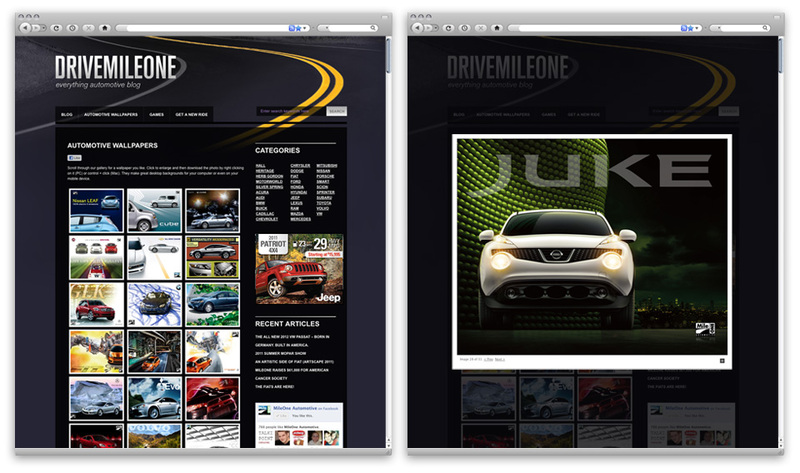 In addition to the article content of the blog, DriveMileOne also offers interactive games, banner advertising, and automotive desktop wallpapers.